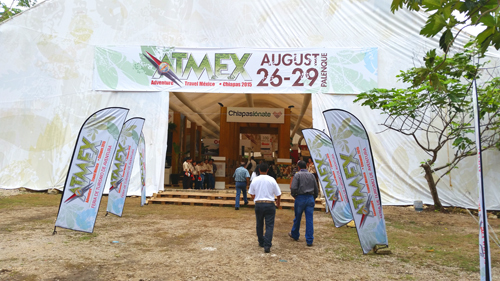 Last month California Native founder and president Lee Klein, again attended ATMEX, the premier Adventure Travel event in Mexico held in Chiapas, quickly becoming renowned as the adventure capital of Mexico. It was a great opportunity to meet again with adventure tour providers in Mexico and develop future partnerships for providing California Native adventures in this exciting and beautiful state. Along with friends in the adventure travel industry, Lee visited Santiago Comaltepec, village of Chinantla, Santa Cruz Tepetotutla, Rio Soyolapam and the pyramids in Palenque. One of the destinations we here at The California Native love to travel to is Mexico. 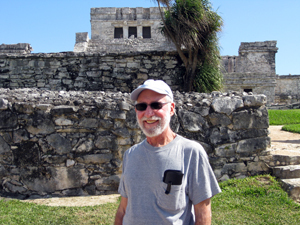 On a recent trip to the Yucatan Peninsula, our own Lee Klein visited the archeological site of Tulúm. 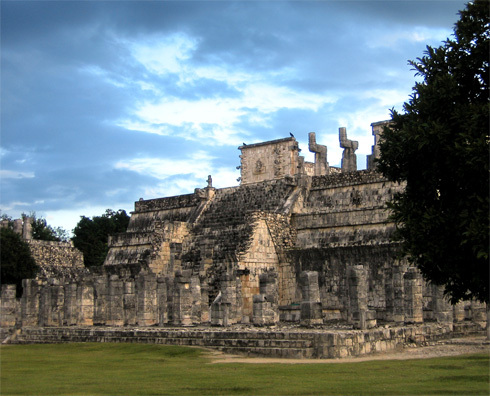 Tulúm is the site of a Pre-Columbian Maya walled city which served as a major port for Cobá (large ruined city of the Pre-Columbian Maya civilization). The Maya site, formerly known by the name Zama (meaning City of Dawn), stands on a bluff 12-meters tall, along the east coast of the Yucatán Peninsula on the Caribbean Sea. 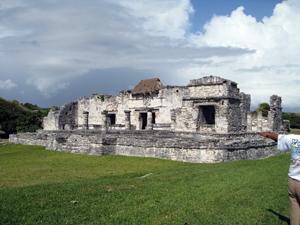 Tulúm was one of the last cities inhabited and built by the Mayas; reaching it’s peak between the 13th and 15th centuries and surviving about 70 years after the Spanish began occupying Mexico. It appears diseases brought by the Spanish settlers were the cause of Tulúm’s demise. 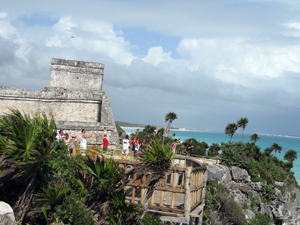 Today Tulúm is one of the best-preserved coastal Maya sites and a popular location for tourists. 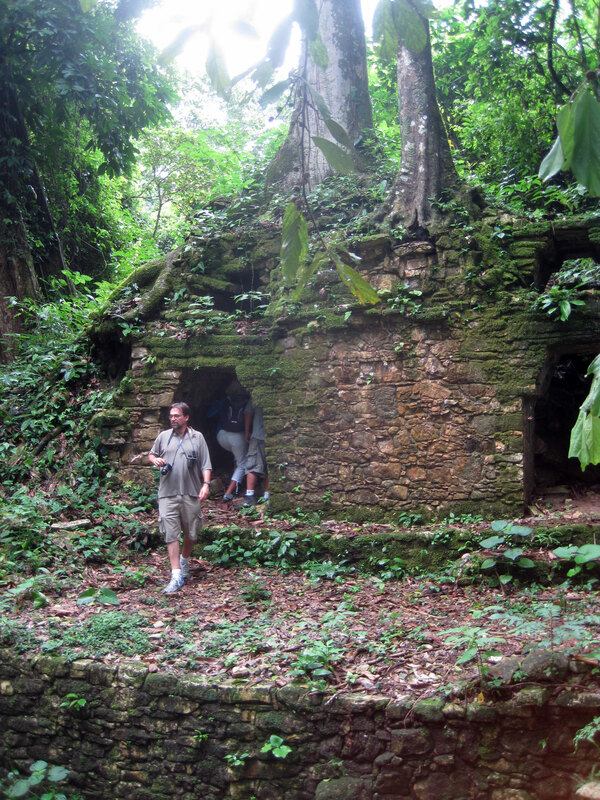 You can visit both Tulúm and Cobá on our 7-day Exclusive Yucatan Adventure. Side view of El Castillo (The Castle) and the Caribbean Sea. 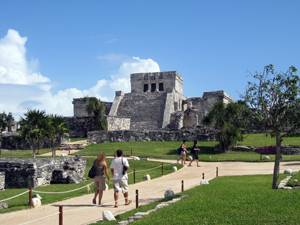 The Palace – the largest residential building in Tulum which was inhabited by the upper echelons (nobles, spiritual leaders) of Maya society. We are back from out trip to Mexico and had a wonderful time. Thank you for your wonderful organisation. We enjoyed the food, hotels and everything on the itinerary. The arrangement in Mexico were excellent. Please thank your team there for all they did to make out team a success. I have now achieved my seven wonders dream and will have to decide on a new bucket list. El Castillo is a Mesoamerican step-pyramid that dominates the center of the Chichen Itza archaeological site in the Mexican state of Yucatán. Colors set our mood and add an important dimension to our feelings and memories of the places we visit. I thought it might be fun to group some of the photos from our library of California Native images by their predominant colors. Our first collection was based on the color yellow. This, our second collection is based on the color blue. Blue is the color of the sky and the ocean. It symbolizes trust, loyalty, wisdom, confidence, intelligence, faith, and truth. 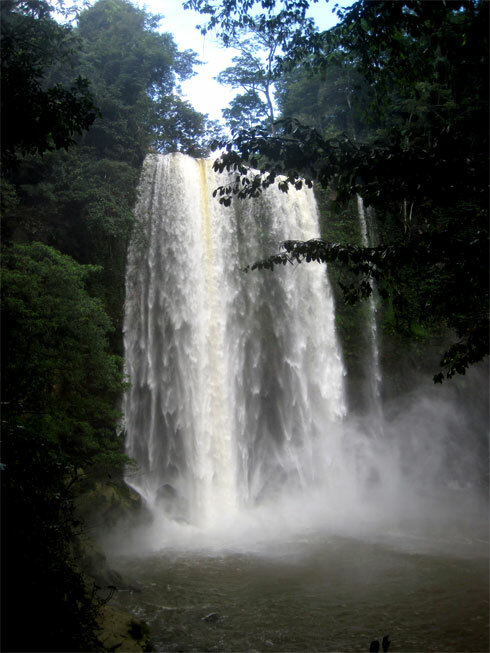 Beautiful, blue Agua Azul falls, located 40 miles from the Mayan ruins of Palenque, in the Mexican state of Chiapas, tumble down from the jungle in a series of cascades where they have carved out delighful limestone swimming holes. 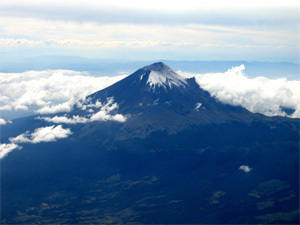 Photographed from an aircraft, the dark blue hues of Mount Popocatépetl, located in central Mexico, are highlighted by the blue sky just before sunset. Popocatépetl, which can be seen from Mexico City is a very active volcano, whose last eruption was just last year (May, 2013). 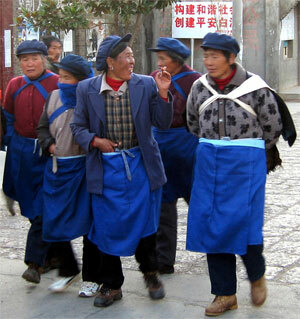 Wearing blue aprons and caps, Chinese ladies go home from work in Yunnan Province. 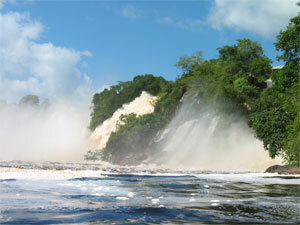 Falls cascade down into the refreshing lagoon in Venezuela’s Canaima National Park. 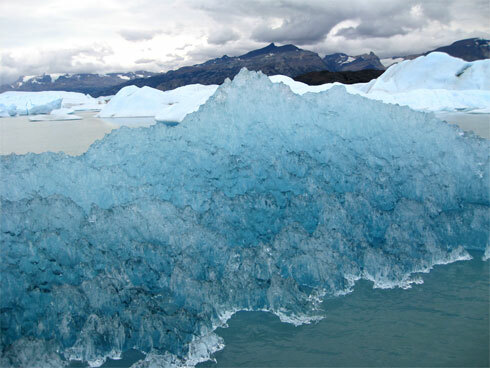 The blue of this Patagonian glacier looks almost unreal as it glistens in the sunlight near the bottom of the world. We appreciate it when our guests share their stories with us and allow us to post them on our blog. 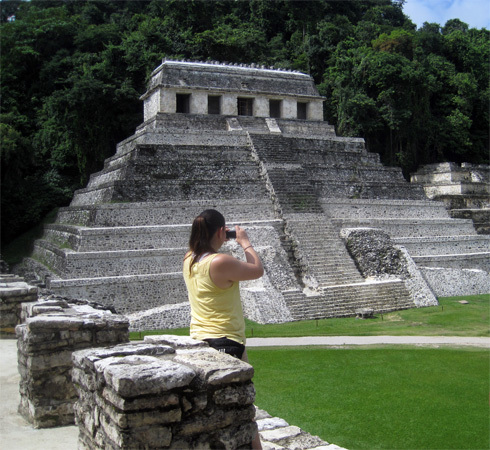 Last summer, Bonnie Brunt from Spokane, Washington, enjoyed our tour to Chiapas and Yucatan. I wanted to write you a quick note to let you know how thoroughly this trip surpassed my expectations. It really was a magical trip for all of us—one that we will never forget—and much of that was due to the services of our amazing tour guide Javier. He really was a great match for our group of bright, professional, well-traveled women. His knowledge of the Mayan civilization and culture was profound, his passion for the subject deep, and his explanations, articulate. He was extremely professional and personable (good-natured, kind, sensitive to the needs and desires of the group). In addition, he was really good at organizing our time such that we were in the right places at the right time, taking into consideration the weather, the size of the crowds, etc. We just could not have been more happy with him. Thanks for all you did to make this trip so special for all of us! 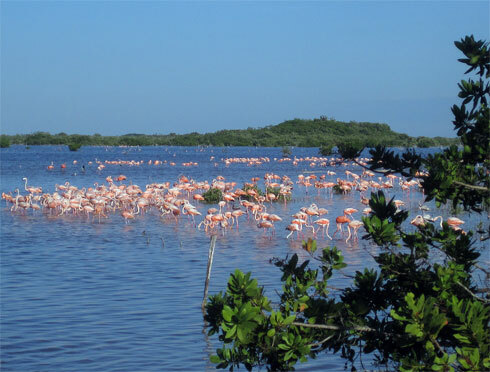 Flamingos flock at an estuary near the beach at Progreso, Yucatan. I want to thank you for providing an excellent tour. 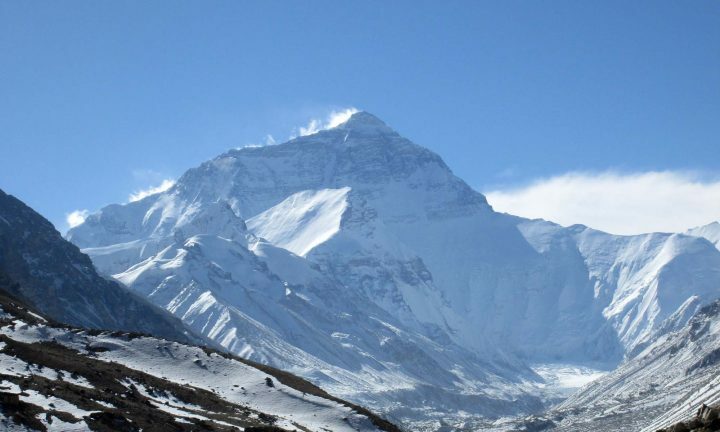 The six of us were impressed by the scope of the itinerary, the variety of experiences and the professional way in which the tour was conducted. The accommodations were well chosen and very comfortable. We so enjoyed the luxury of sitting back and relaxing as each new day unfolded. And each day brought a new adventure — thanks to our wonderful guide, Javier. His knowledge of Maya history, architecture and culture is extensive and his fluency in English is remarkable. He was patient, unhurried and always courteous. 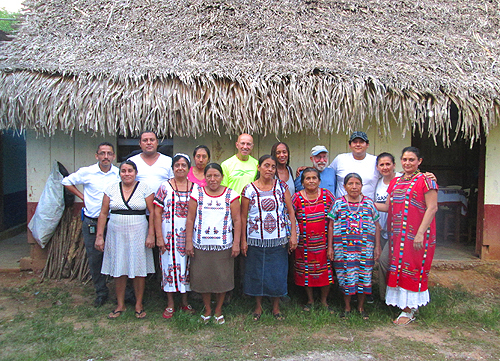 He went out of his way to make sure that we had a positive experience and came away with a deeper knowledge of the Maya people’s past and their lives today. This was a trip I’ll never forget. 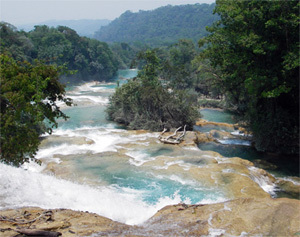 I had an extraordinary experience in Chiapas and Yucatan and hope to return to continue to study and improve my Spanish! In a very significant way the success of it was due to the excellent service and professionalism provided by CalNative. 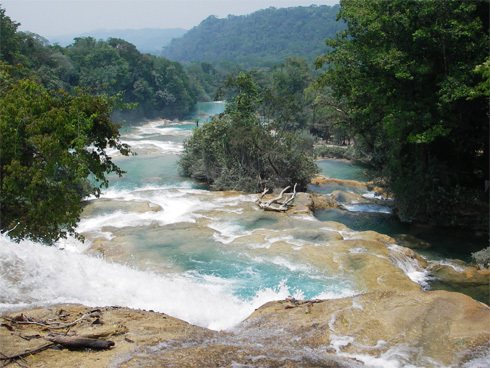 Beautiful Aqua Azul Falls in the Mexican state of Chiapas are located 40 miles from the ruins of the ancient Mayan city of Palenque. 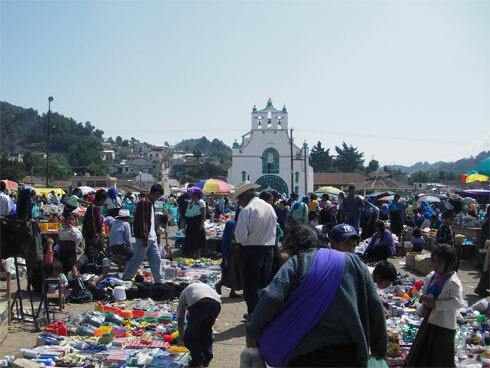 Sunday is market day in the lovely town of San Cristobal de las Casas in Mexico’s Chiapas state. The Mayan archaeological site of Yaxchilan is accessed by a boat ride up the Usumacinto River which is the border between Mexico and Guatemala. 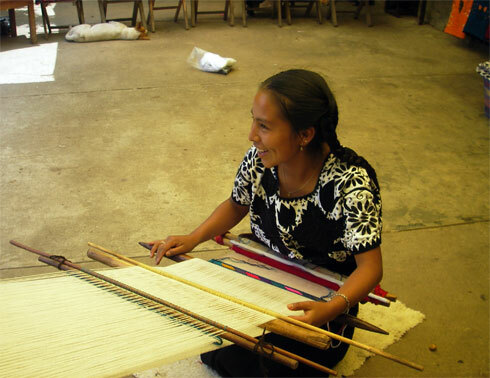 A few weeks ago, as guests of the Mexican Tourist Board, we traveled to the city of Merida, the capital of the Mexican state of Yucatan, to attend the 5th Annual Feria Turistica del Mundo Maya, Mayan World Tourism Fair, a trade show which featured tourism vendors from the area that once was the Mayan Empire. 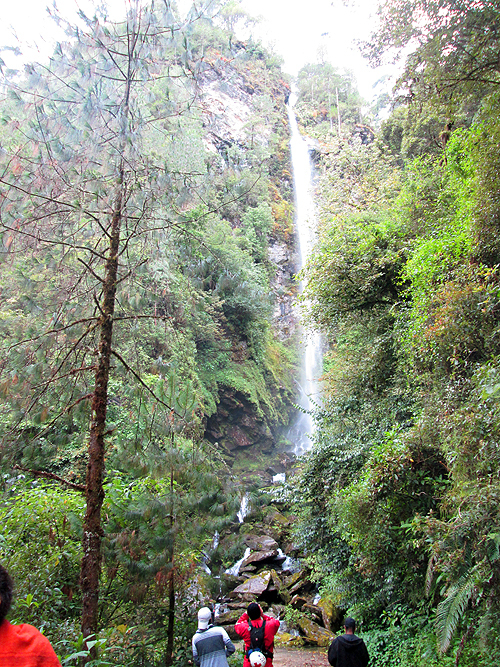 Now this rain forested terrain encompasses Guatemala, Belize, El Salvador and Honduras and the Mexican states of Yucatán, Tabasco, Campeche, Quintana Roo and Chiapas. We met with regional tour operators, tourism boards, hoteliers and other vendors, and visited many sites where we had not previously explored. New to us was the Mayan archaeological site of Dzibilchaltun, a lesser visited site not far from Merida which was inhabited since around 500 B.C. We climbed around its temple, plaza and other structures, and were quite impressed with its museum of artifacts from throughout the Mayan world. 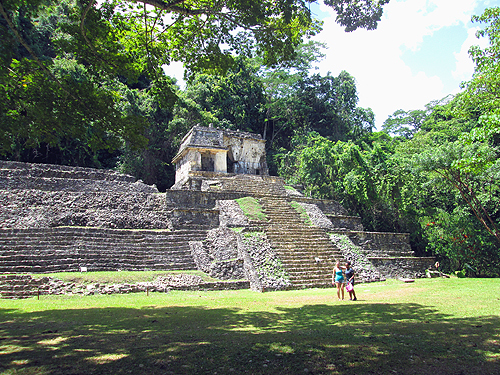 We then traveled to the town of Palenque, in the state of Chiapas. After driving through the jungle we boated up the Usumacinta River to the ruins of Yaxchilan, capital of one of the most powerful Maya states in the region and a rival to Palenque and Tikal. 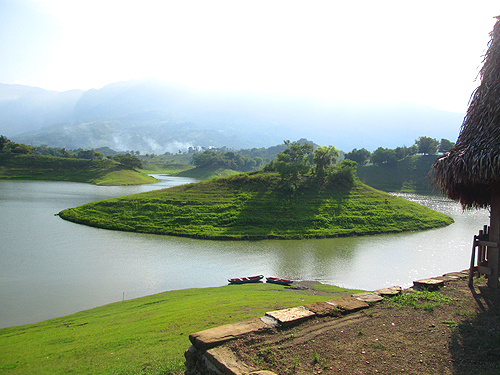 The site contains many impressive ruins, with palaces and temples bordering a large plaza above the Usumacinta River. Throughout the ruins are impressive hieroglyphics depicting the history of the kingdom. South of Yaxchilan, on the border of Guatemala, we explored the ruins of Bonampak, another Mayan city, noted for its vivid 8th century murals. 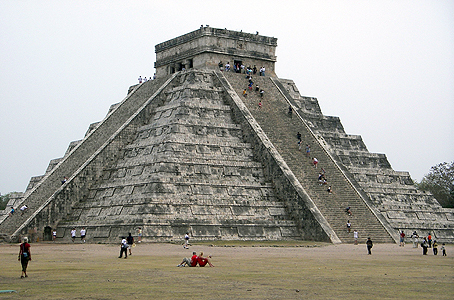 In the near future we will be offering these Mayan sites as add-on options to our Yucatan adventures. We appreciate it when our guests share their stories with us and allow us to post them on our blog. Last July, Judy Theodorson, from Spokane, Washington, traveled with us on our Yucatan & Chiapas Adventure. Overall, I could not be more pleased with this trip. Just abut everything exceeded my expectations. While I have extensive travel experience, I have never before used services of packaged/guided tour. This trip taught me the value of utilizing the experts. Highlights are many. 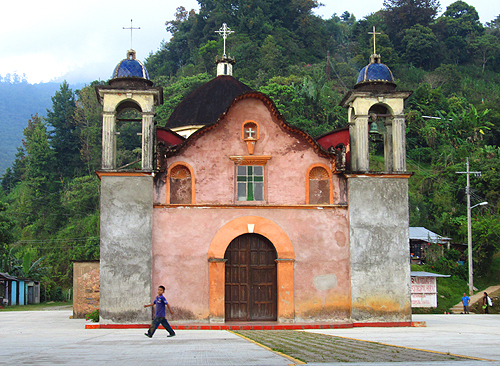 Perhaps the most memorable stop was the church in Chemula where we saw an amalgamate of Mayan and Catholic practices. My academic area is architecture, so I was delighted by the Mayan ruins, in particular, I enjoyed those less traveled—Calakmul, Edzna, and Uxmal. In the future, I hope to visit more of the smaller ones. 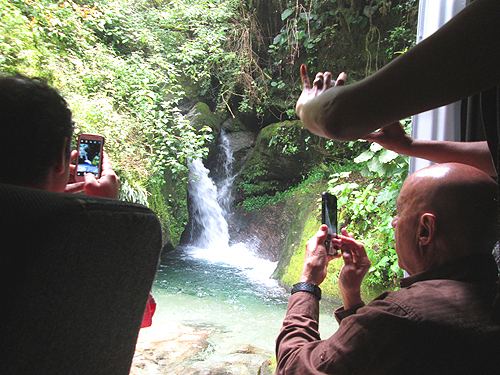 I was also pleased by the opportunities to experience the natural world—rivers, jungles, beaches—which helped to contextualize the ecological foundations of this impressive place. I appreciated that our group was able to customize the tour to meet our needs. I hope to do another trip in the future with students that will require even more customization. The hotels were fine. 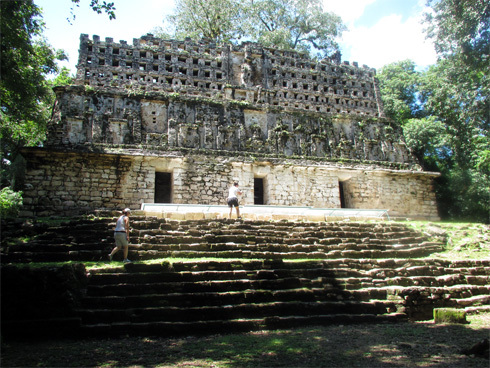 Several—San Cristobal, Merida, Chichen Itza—were unexpectedly wonderful in terms of both architecture and comforts. 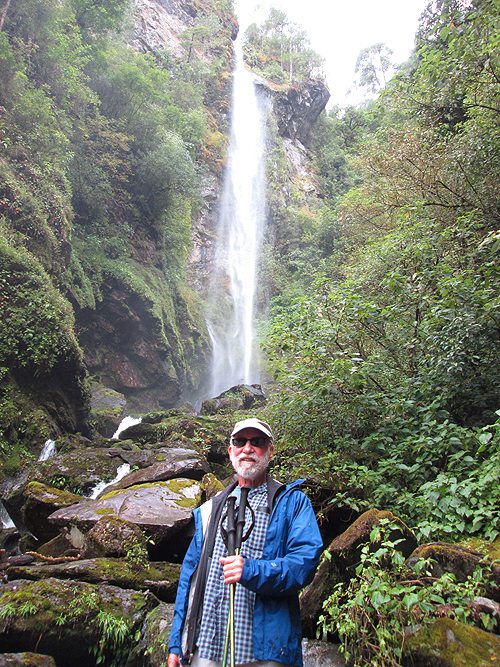 The absolute highlight of our trip was our guide, Javier Sosa Pacheco, who was perfectly matched to our group. I must sing his praises—foremost is his deep knowledge in many subjects including archaeology, anthropology, architecture, Mayan beliefs, history and natural history. He is a natural teacher, delivering the knowledge with clarity, with stories, and with a point of view. By the end, he had done a beautiful job of tying our experiences into a coherent and memorable whole. Furthermore, he is professional in every way—on time, courteous, attentive—and gifted with patience and humor. Importantly, he took the initiative to massage the itinerary so that we had the best experiences possible, for instance, visiting Chichen Itza early in the morning rather than late on a busy day. Finally, he was a great driver. My experience overall is so positive that I’m already planning another trip to the Yucatan peninsula. In the jungles of the Mexican state of Chiapas, the ruins of Palenque contain some of the finest architecture, sculpture, and bas-relief carvings that the Mayans produced. My family took a California Native vacation in Yucatan between June 15 and 21, 2013. First of all, I want to thank your company for a wonderful trip that it organized for us. Secondly, I would like to take this opportunity to express my family’s admiration with Mr. Javier Sosa, our tour guide and care-taker in Mexico. 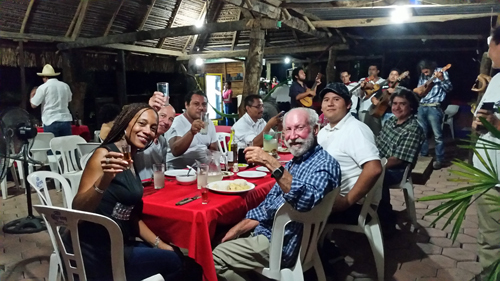 Mr. Sosa’s high professionalism, vast knowledge of Mayan culture, engaging narrator’s qualities, impeccable manners, affable and personable attitude, and exceptionally agreeable nature made our trip very pleasant and memorable. Dramatic clouds frame the Mayan ruins of Chichén Itzá, a huge archaeological zone, and one of many visited on The California Native’s Yucatan Adventures. Last week we returned from Morelia, Mexico where we attended the third annual Feria Mundial de Turismo Cultural, the World Cultural Tourism Fair and trade show. There, we met with Mexican tour operators and representatives from all of the states of Mexico as well as representatives of the federal government. Looking for more unique destinations to offer our California Native guests, we visited several colonial cities which have been designated Pueblos Magicos, magic towns. These towns have been chosen for their natural beauty, cultural riches, and historical relevance and are said to offer visitors a “magical experience.” Among those we visited were Guanajuato, San Miguel de Allende, Pátzcuaro, Cuitzeo and Santa Clara del Cobre. 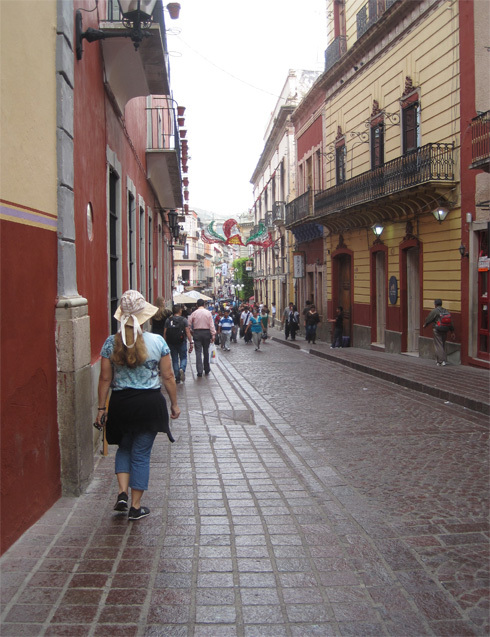 California Native's Ellen Klein strolls along the street in Guanajuato, Mexico. 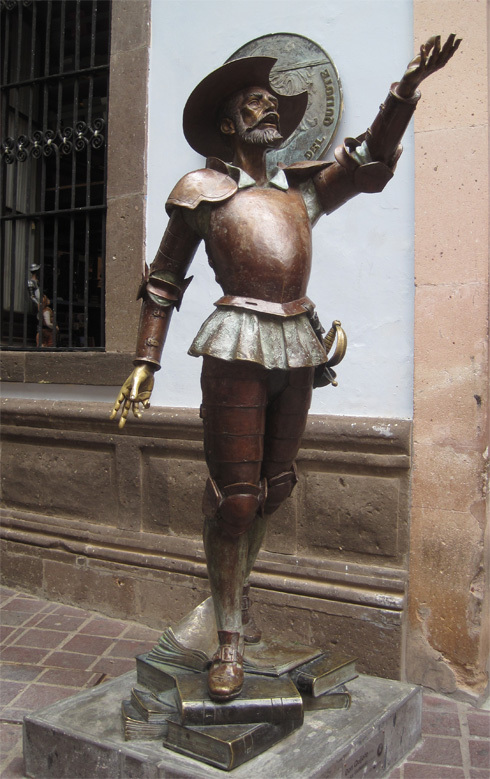 Don Quixote greets visitors at the Cervantes Museum in Guanajuato, Mexico. 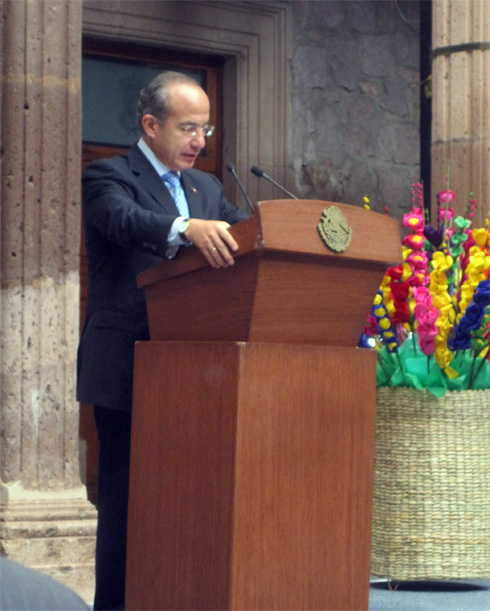 Mexico's president, Felipe Calderon, addresses attendees at World Travel Fair. 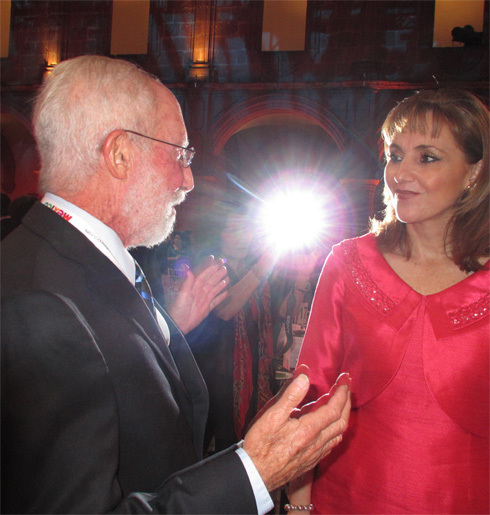 California Native president, Lee Klein, discusses travel with Mexico's Minister of Tourism Gloria Guevara at World Travel Fair in Morelia, Mexico.